Robotic instrument designers tend to focus on the number of sound control parameters and their resolution when trying to develop expressivity in their instruments. These parameters afford greater sonic nuance related to elements of music that are traditionally associated with expressive human performances including articulation, timbre, dynamics, and phrasing. Equating the capacity for sonic nuance and musical expression stems from the “transitive” perspective that musical expression is an act of emotional communication from performer to listener. However, this perspective is problematic in the case of robotic instruments since we do not typically consider machines to be capable of expressing emotion. Contemporary theories of musical expression focus on an “intransitive” perspective, where musical meaning is generated as an embodied experience. 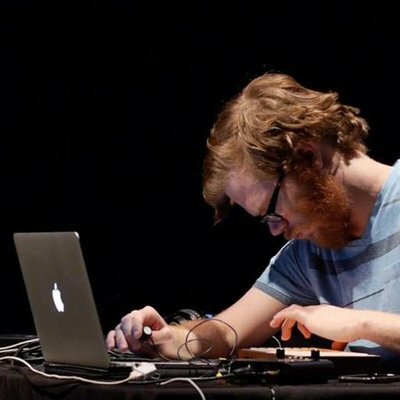 Understanding expressivity from this perspective allows listeners to interpret performances by robotic instruments as possessing their own expressive meaning, even though the performer is a machine. It also enables musicians working with robotic instruments to develop their own unique vocabulary of expressive gestures unique to mechanical instruments. This paper explores these issues of musical expression, introducing the concept of mechatronic expression as a compositional and design strategy that highlights the musical and performative capabilities unique to robotic instruments.